Words are the most powerful weapon, especially those uttered by the people who have set amazingly high benchmarks of success in their respective fields. People like Steve Jobs and Mark Zuckerberg are modern day legends and are perfect examples of the fact that the sky's the limit. That’s why it is important to listen to the words of wisdom spoken by these real life heroes and incorporate them in our businesses and lives if we also want to get a taste of unprecedented success like theirs. All of his accomplishments, everything that this innovator has given to the world, was possible only because the guy thought of every single day as the last day of his life. That is sure to be the ultimate mantra for anyone who wants to be on their best possible version, shred all embarrassments, all fears, and just follow one’s heart towards the pursuit of happiness. “Success is a lousy teacher. It seduces smart people into thinking they can't lose”. Pretty interesting thoughts on success, especially when these are thoughts of one of the most successful men on the earth. I guess what he is trying to say is not to let success get to your head. Nothing is permanent, not even success. Always be ready for the possibilities of failure, because failure is what really teaches you. 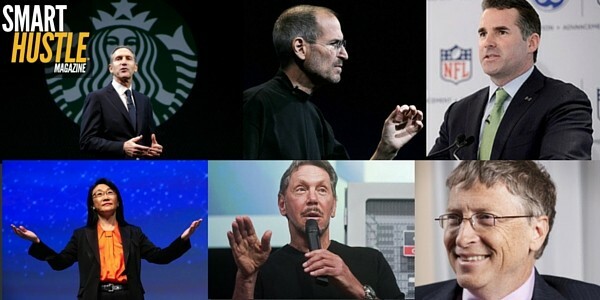 “When you innovate, you must prepare yourself for everybody to tell you that you’re nuts.” I couldn't agree more. If people are not laughing at your ideas, they’re not innovative. A hundred years ago, who wouldn’t have thought there would be the kind of technology that we have today. But somebody made it possible. So if you want to test your ideas for innovation, people laughing at them is a good way to measure it. The CEO of a coffee brand that has been a rage for such a long time across the world, Howard Schultz has been successful at creating a brand from the heart. In his words, “the most powerful and enduring brands are the ones built from heart”. Such brands are always long lasting because they were created with the human spirit, not just to fit an ad campaign. Starbucks, a longstanding brand loved by people everywhere, is a living proof of a brand created with heart. If you are also thinking of building something totally extraordinary, put your heart and soul into it. Listed by Forbes as 54th most powerful woman in 2014, Cher Wang emphasizes the importance of humility. In her words, “It takes humility to realize that we don’t know everything”. Humility is the force that promotes consistent learning and innovation. Continued learning and observation is what keeps us flowing. If we fail to remember this, we can be sure that, soon enough, someone else is going to take our place. “There is no such thing as a good time.” These are the words of Kevin Plank. So many potential entrepreneurs are afraid to take that first step towards success, just because they feel right now is not the right time. But Kevin says, the right time or a good time is something that does not exist. Take the present moment and make it right. His message is to get people to stop making excuses and just get started. Every single one of these quotes is a real life changer. So, are you ready to follow them? 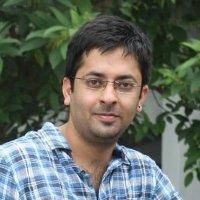 Arjun Setia works as a writer at ProofHub. For the past three years, he has been writing for various technology blogs. Coming from an intense background in science and biotechnology, he likes to relate advancements in technology with real-life activities.